As the end of the school year approaches, the question on most seniors’ minds is, “What should I wear to prom?” And this isn’t just a question for the females. The prom is the event of the year for all students, so it is not surprising that both males and females want to look their best. 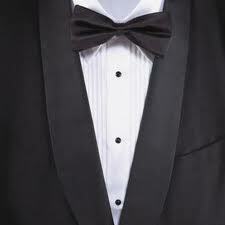 Choosing a tuxedo and tuxedo rental shop is a major decision. There are a variety of chain tuxedo rental shops throughout San Diego, but to get the most customized service and the most fashionable tuxedo rental, look no further than A Better Deal Tuxedo. A Better Deal Tuxedo is a family-run business that offers personalized service and the largest number of choices for students in San Diego looking for prom suit rentals. At A Better Deal Tuxedo, the staff prides themselves on offering personalized service to each and every customer. Customers looking for prom tuxedo rentals in San Diego can schedule a personalized fashion consultation. The staff at A Better Deal Tuxedo can have tuxedos pulled and waiting for customers as they arrive. With the help of professional coordinators, students can browse the styles they have selected. They can also try on tuxedos and suits based on the professional recommendation of the staff, the latest styles, and best fit for each customer. A Better Deal Tuxedo’s coordinators will help piece together an entire prom suit that is personalized for the customer, rather than simply choosing an outfit from a catalog as they do at some other tuxedo rental shops. Though it is always a good idea to schedule these consultations well in advance, A Better Deal Tuxedo also offers customers the benefit of same-day delivery. They have all the accessories needed to complete a prom look and they are available for use the day of the appointment, if necessary. A Better Deal Tuxedo even has a tailor on-site to make any necessary adjustments. Customers are able to take advantage of one of the largest selections of men’s’ formal wear in San Diego. To meet the unique fashion needs of each client, an extensive line of both classic tuxedo styles as well as the latest in men’s formal wear fashion is available. From the basic black tuxedo to designer suits, everyone can find a fit and style to match their tastes. For customers in San Diego, tuxedo rentals can also be customized by adding color (with unique ties and vests) to a classic tuxedo, or by trying out different shapes and styles. A Better Deal Tuxedo carries a large variety of inventory in-store so that, no matter the style, there will be a sample to try on. With all of the options available, customers are sure to arrive at prom in a look that is fashionable, comfortable, and (most importantly) one-of-a-kind. Students that are looking for the perfect tuxedo or suit for prom may feel overwhelmed by the selections available; if so, let the experts at A Better Deal Tuxedo help. Schedule a personalized fashion consultation to complete a prom look. The staff at A Better Deal Tuxedo is ready to help students put together a unique look that represents their personality and style.